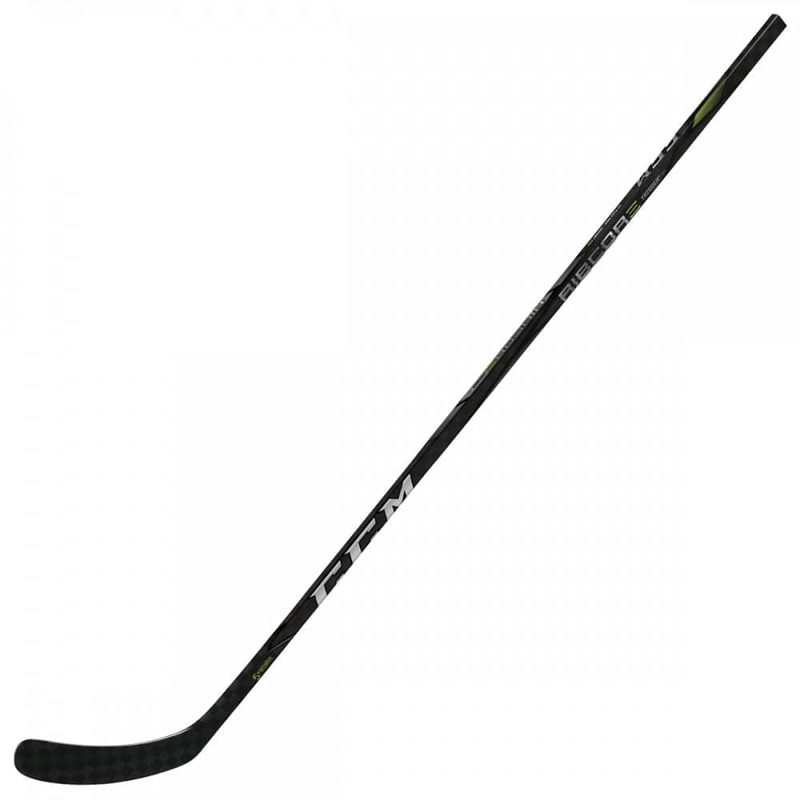 New for 2018, CCM has used their ultimate culmination of technological advances, new build style and increased durability to unveil the newest RibCor line. 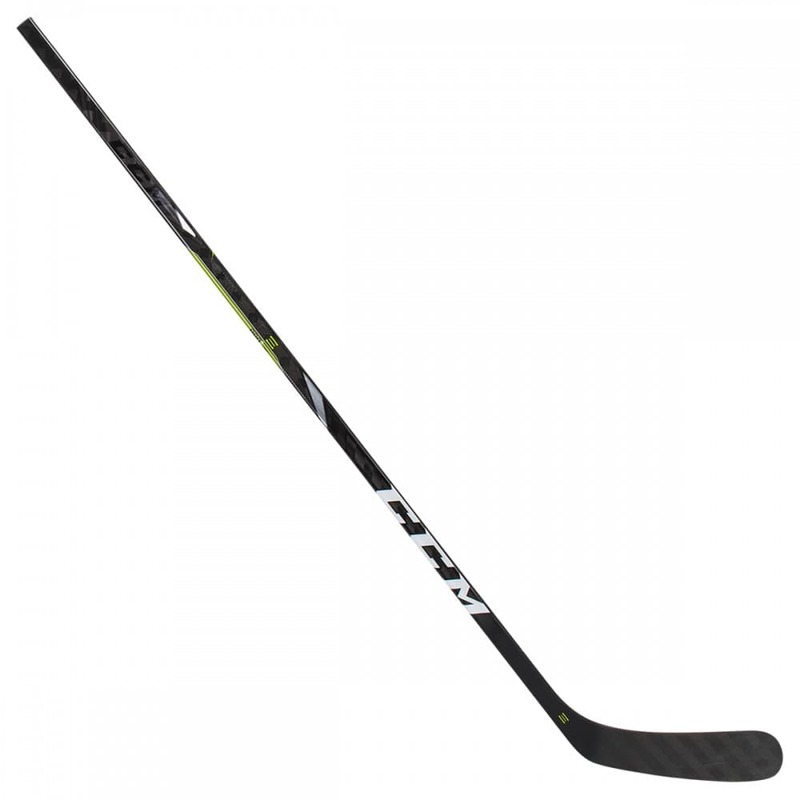 The CCM RibCor PRO3 Grip Junior Hockey Stick has the perfect blend of all these advances. Starting with the overall look of the CCM RibCor PRO3 Junior Hockey Stick; at the top of the stick, CCM has switched from silver lettering and now ghosted their logo on both sides to give a sleek look. Moving down, CCM kept the blacked-out lettering for the RibCor logo with a green bar coupled with the PRO3 logo. Towards the bottom of the shaft, CCM stuck with their larger lettering and used a bold white design. CCM has gone with their standard grip for this stick. It is the perfect balance of being able to have good control of the stick at all time, but also easy enough to where you can take one hand on and off with ease. Like the rest of the Trigger line, CCM incorporated the same ribbed feel at the middle of the shaft where your bottom hand would go. 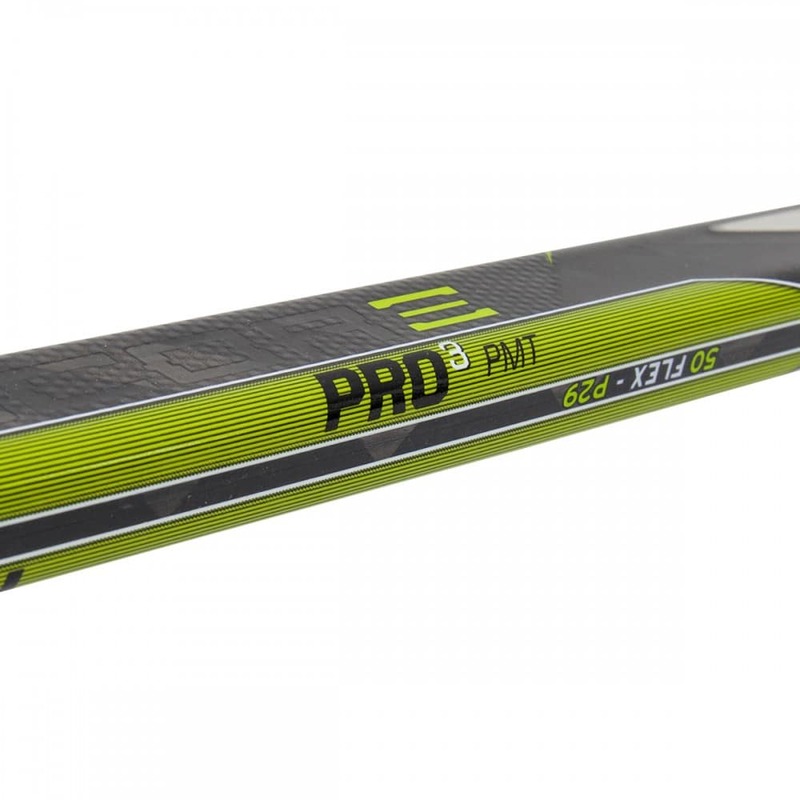 The RibCor PRO3 Junior Hockey Stick features upgraded Pop-Matrix Technology and it has been re-designed to increase efficiency and energy transfer. These changes lead to more strength and speed of release on your shots. 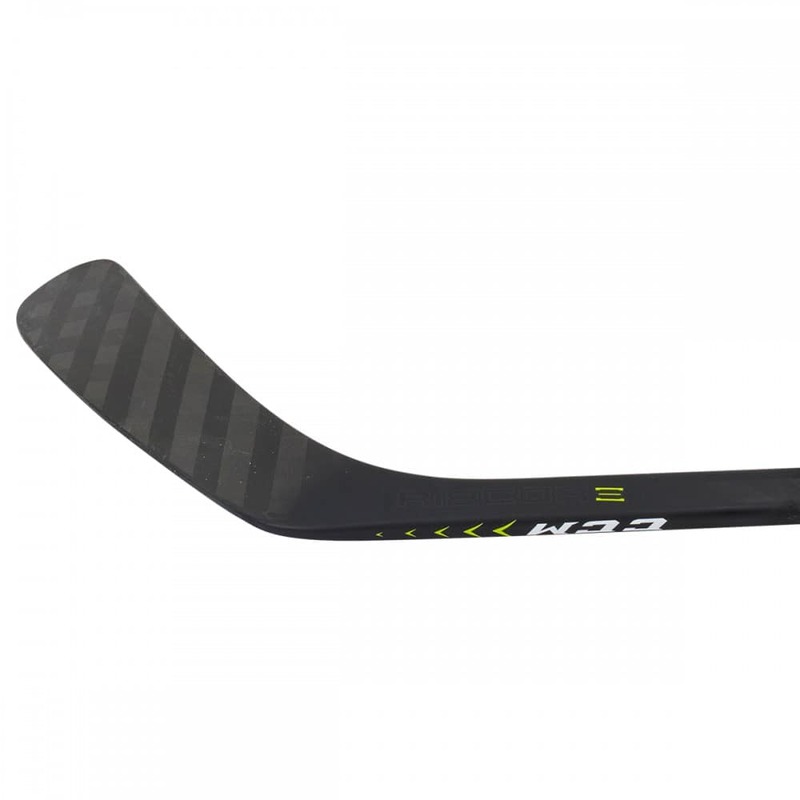 Similar to the RibCor Trigger 3D, the CCM RibCor PRO3 Junior Hockey Stick also uses CCM’s X-Flow Technology to make the stick lighter and more durable. 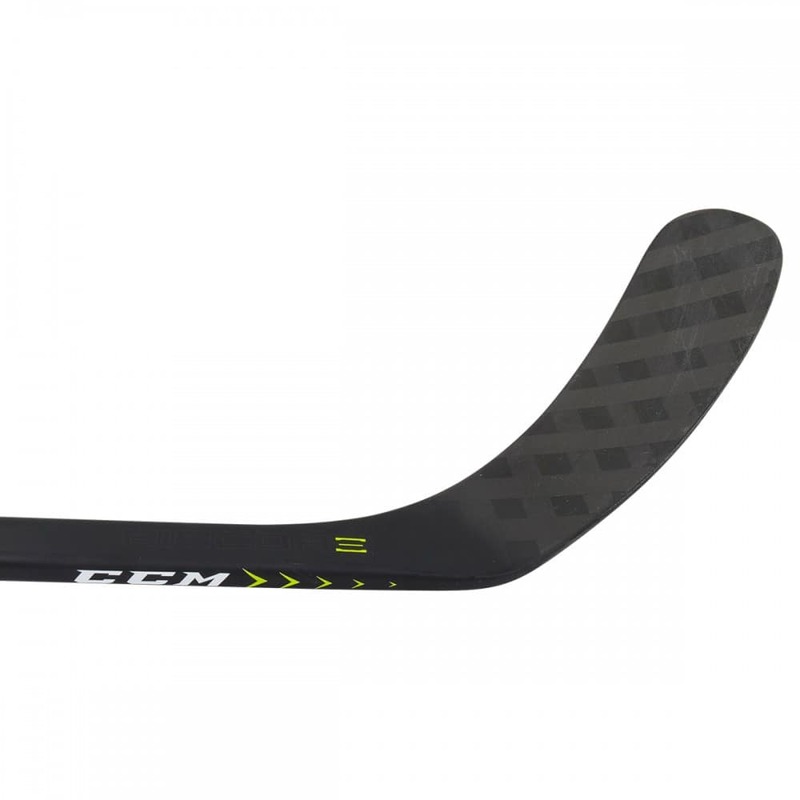 This stick incorporates a C6 carbon fiber weave inside it that provides strength and durability paired up with the Ascent 2 blade offering improved puck feel. 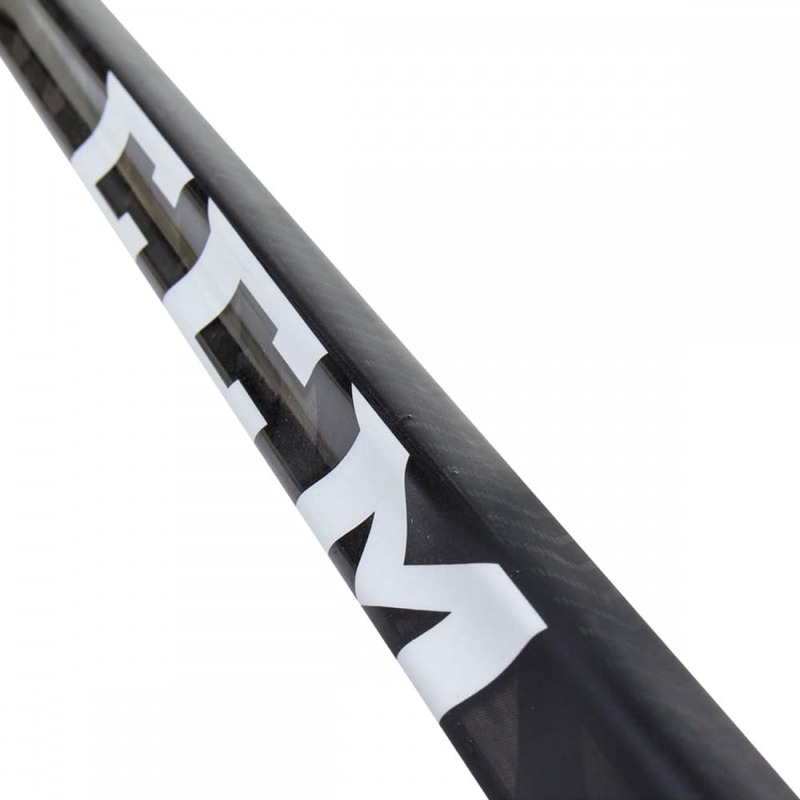 Along with this, CCM also increased the ratio of carbon fibers used in this stick adding extra durability. Throughout the entire RibCor Trigger line, the kickpoint remains constant. 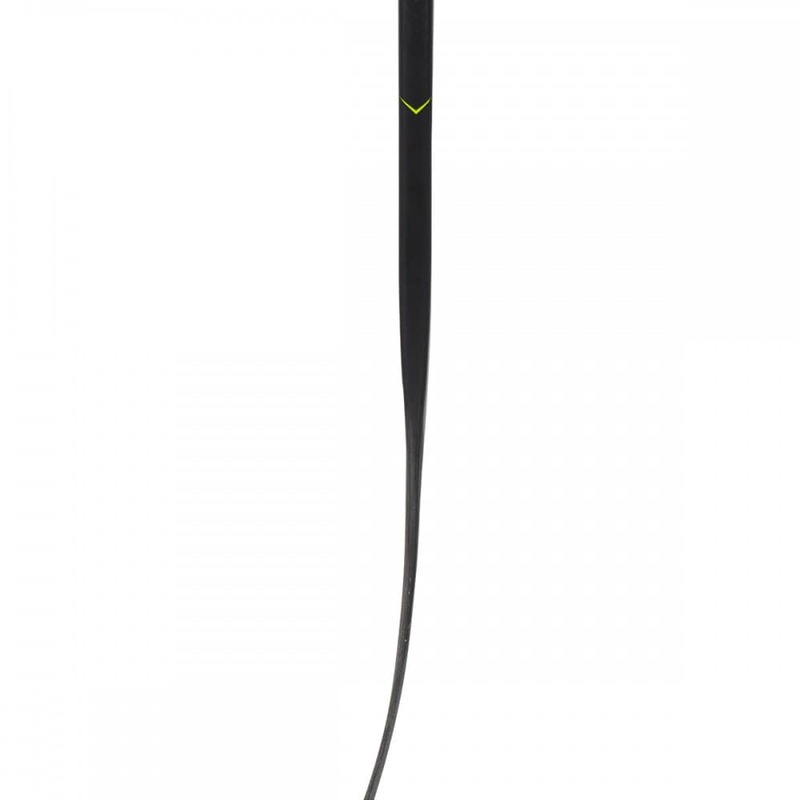 A true low kick design that is stiff at the mid-point of the shaft with a gradual decrease in stiffness moving toward the bottom to enable maximum ease of loading on shots and the quickest possible releases. This stick is perfect for players who take most of their shots either right outside the crease or at the hashmarks. If you are a player looking for an elite-level stick with upgrades in durability, without breaking the bank, then the CCM RibCor PRO3 Junior Hockey Stick is for you.